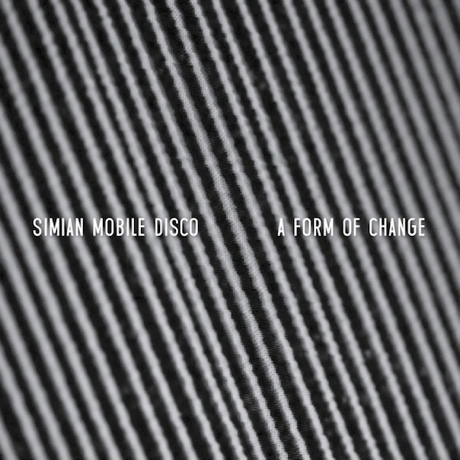 UK dancefloor fillers Simian Mobile Disco have announced plans to follow up this year's Unpatterns with a new EP, titled A Form of Change. The new collection is comprised of four tracks that were written and recorded during the Unpatterns sessions, but didn't quite make it on to the album. The EP will arrive on October 2 via Wichita, but you can get a sneak preview of the new material right now. The album artwork is pictured above, though you can scroll past the tracklist below to listen to the title track in its entirety, plus a brief teaser medley featuring the three other songs that are set to appear on A Form of Change. Check out SMD's upcoming North American tour dates over here.